Comments - This figure is in great shape. Little paint wear. 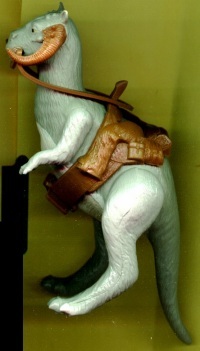 Comes complete with saddle and reins as pictured. 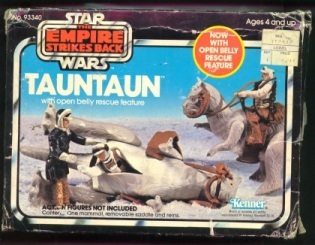 Comments - TaunTaun comes complete with box. The box has seen better days, but is still in C6-C7 shape. There are creases on the corners and the price sticker is still visible. This piece comes with all inserts!